Liverpool are considering selling striker Taiwo Awoniyi to Bundesliga side Schalke 04 this summer following his quick start to life on a short-term loan in Belgium. The 21-year-old forward joined Royal Excel Mouscron in the January transfer window and has already scored six goals in just seven appearances, having failed to find the back of the net during the first half of the season with Gent. Schalke have caught wind of Awoniyi's form in the Pro League and are considering making an offer for the Nigeria Under-23 international this summer. The Liverpool Echo claim that Awoniyi will be slapped with a £13m price tag but that the club will be willing to let their forward join Schalke on loan if the German outfit don't meet their asking price. It's added that the implication of the UK leaving the European Union could also accelerate Awoniyi's departure from Liverpool, as it is set to further complicate the application process players need to go through to obtain a work permit. Awoniyi initially joined Liverpool in 2015 from Nigeria's Imperial Academy, but he has been out on loan from the club ever since. His first taste of football in Europe came with German minnows FSV Frankfurt before going on to join NEC Nijmegen in Holland. Taiwo Awoniyi is on fire,can't stop scoring,hottest Nigerian striker in Europe. Awoniyi then joined Royal Excel Mouscron for the first time in his career in 2017 before moving on to Gent at the start of this season. 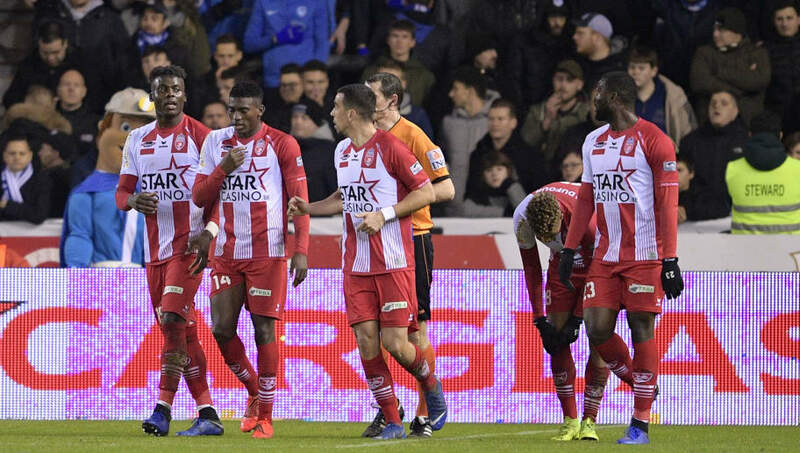 Despite only returning Mouscron earlier this year, the club have gone on a seven-game unbeaten run since his arrival and are now sitting safely in middle of the table having previously been close to the relegation places.